I’ve heard from many of my readers who love receiving my email notifications of spectacular deals on design resources. You guys can’t seem to get enough fonts, so you might be particularly interested in this latest collection from Design Cuts. At 98% off the discounts are getting so high there’s little left on the price tag! 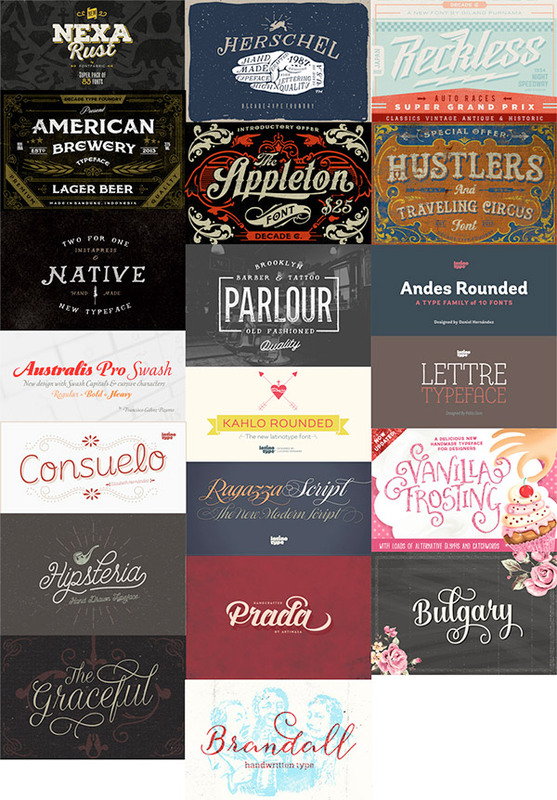 This is a great opportunity to grab $1894 worth of beautiful fonts for just $29. Here’s 20 all new best selling fonts to add to your collection, with web font variants and extended licensing included in the price. It’s difficult to find a single font with these usage terms for $29, nevermind 20 fonts! There’s no filler content either, they’re all best sellers that are incredibly popular at their full price. 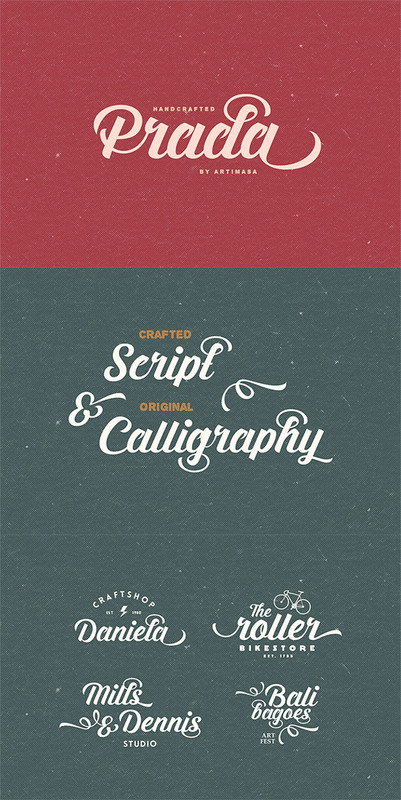 Hand illustrated typography designs are extremely popular. They’re usually crafted by hand, but the endless number of alternates, swashes and catchwords included with this font makes it easy to create unique designs every time! I always find choosing a script font for a design is incredibly difficult! They all have such different characters it’s hard to find the exact style you need. I can foresee Prada script being used extensively in my future designs though, it has lovely bold curves and plenty of elegant swooshes. This Reckless font just makes me want to slap on some heavy metal music and design an awesome band logo! It’s cited as being a hybrid of script, blackletter and tattoo type styles and also suits anything to do with cars, games and machines. I don’t think you’ll find a font with more variants than Nexa Rust. This one font family alone contains sans, slab, script and handmade versions, each comprising of multiple weights and levels of texture. This is just a sample of my favourite items from the whole collection. Be sure to check out all the fonts on offer and see the numerous extras they come with. Licensing terms are always something to look out for, but you’re perfectly safe here. 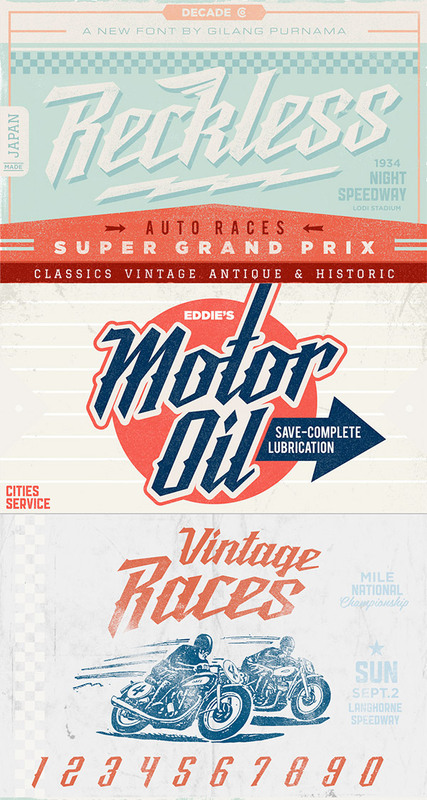 Extended licensing means these fonts can be used in any commercial project, and even used within items you intend to sell, such as posters and t-shirts. Thanks, I’m happy you found it useful. Yep! All for commercial use. Wow, there isn’t a font in this bundle that I don’t 100% love. Damn, I just bought the Nexa family a couple of weeks ago for $70-something, thinking I’d never see a deal like that again. And then this pops up. I loved the prada script! Wow Great bundle Chirs! Good fonts make an article, book, advert, etc. stand out and ‘work’. They can make or break a creation. Definitely agree with that Melinda! I’ve been kicking and screaming that I don’t have the moola to pick up that bundle!! It is truly gorgeous. I’ve grabbed a few of the Design Cuts bundles, and they’re always amazing value… plus LOVE their no hassle/use for whatever licensing. Just stumbled onto your site, and loving it! Thanks tons for all the goodies! I was a regular reader of your blog line 25 and your amazing work turned me a regular reader of this blog of yours as well.Great work bro. I must say amazing collection Chris. Keep up the good work.